Scotland is truly the Home of Golf. The first game of golf, at least the first recorded game, was played in Edinburgh in 1456. Mary Queen of Scots played the game, and got herself into trouble for it. The Earl of Moray accused Mary of playing golf at Seton House only a few days after the murder of her husband, Lord Darnley. The word golf possibly comes from the old Scots word "goulf" meaning "to strike or cuff". 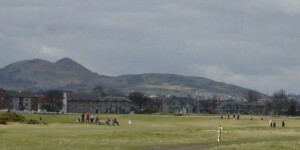 The oldest course in the world is at Musselburgh Old Links Golf Course, near Edinburgh. Golf was played there as far back as 1672. St. Andrews in Fife, on the East Coast of Scotland, is known world wide for its famous golf club, the Royal and Ancient and the Old Course. The Links at St. Andrews lie on a narrow strip of land by the sea and orginally it was played to holes that were naturally placed, that is 11 holes, so a round of golf was played there and back for a total of 22. Eventually some of the holes were combined to make a total of 18. Interestingly enough the Royal and Ancient is merely a Golf Club, (albeit one with approximately 2,400 members from all over the world). 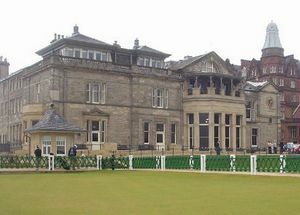 Although it is situated behind the first tee of the Old Course it is obliged to share tee times with other clubs and organisations. 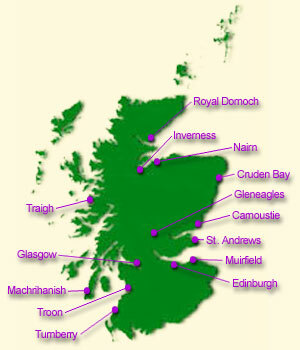 The St. Andrews Links Trust actually owns and operates all the St. Andrews Link golf courses at St. Andrews. Carnoustie (nicknamed Car-nasty because of its difficulty) is another famous course over the Firth of Tay from St. Andrews, close to Dundee. 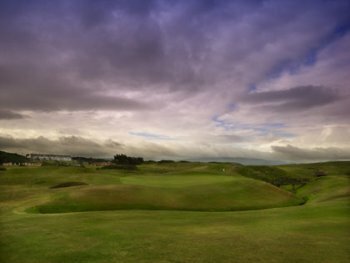 It has a reputation of being the toughest links course in the world. The Open Championship was held there in in 2007 when Pádraig Harrington (an Irishman) defeated Sergio Garcíaat. The three famous golf courses in Carnoustie are the Burnside Golf Course, the Buddon Golf Course and the most famous of all, the Championship Course. 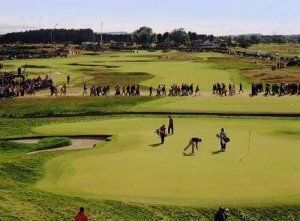 Carnoustie also hosted the British Open Golf Championship in 1999 when Scottish Paul Lawrie was the winner in a play-off against Jean Van Der Velde. This is the 18th hole at Carnoustie..
Muirfield in Gullane, East Lothian is the oldest golf club in the world, and its records date back to 1744. 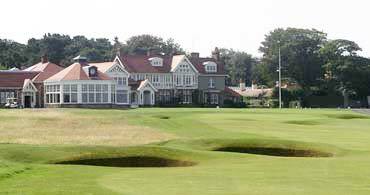 Muirfield has hosted the Open Championship fifteen times. Nick Faldo has won there twice and other famous players include Lee Travino, Tom Watson, Gary Player and a host of other golf luminaries. 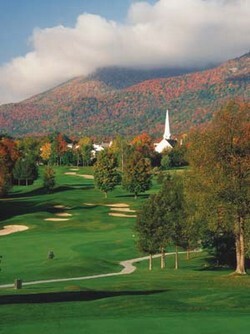 It was designed in 1891 by Tom Morris and is the home of the Honorable Company of Edinburgh Golfers. From the championship tees, the course stretches 6,970 yards. Jack Nicklaus, who won the Open Championship there in 1966, was so taken with this course he named his golf complex in Ohio "Muirfield". From the championship tees, the course stretches 6,970 yards. Turnberry, on the Atlantic coast of Ayrshire is home to the Ailsa Course, named for the rocky island off its coast named the Ailsa Craig. It is ranked 8th in Golf Digest's 2007 list of Best Golf Courses Outside the US and is scheduled to host the Open Championship in 2009. It has hosted the Championship three times. Tom Watson and Greg Norman have both been winners there. Like Gleneagles, it is part of a golf resort. The Westin Turnberry Resort has membership in the exclusive "leading Hotels of the World" Group. 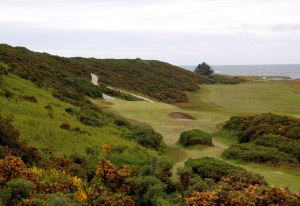 The Royal Dornoch Course was named the fifth best golf course outside the United States in 2005 by Golf Digest magazine. With all these wonderful golf courses to choose from, Turnberry, Prestwick, Royal Dornoch, beautiful Loch Lomond, and Troon it is no wonder that golfers from all over the world come to Scotland. Gleneagles, like The Westin Turnberry, offers wonderful golfing facilities.